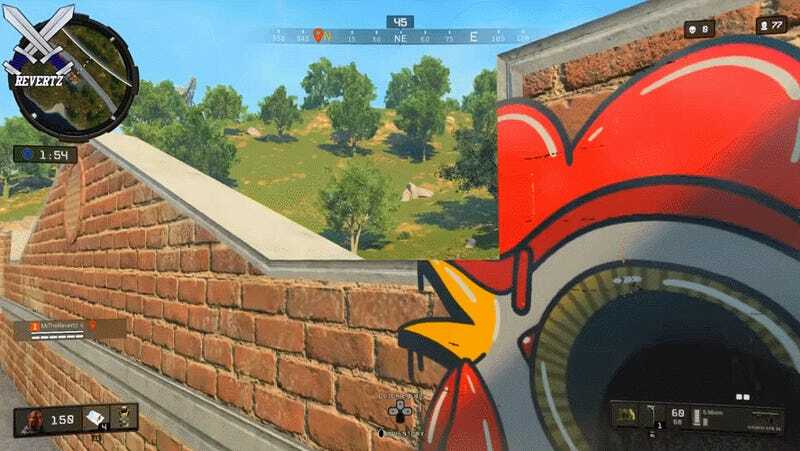 As reported by VG 24/7, players of the Black Ops 4's Blackout mode are able to use certain “gestures” or emotes to manipulate the in-game camera to give themselves the advantage of battlefield oversight. In this Reddit post by user “sw3ar,” for example, you can see how simply using the “point” gesture pulls the camera back far enough, and for long enough, that the player can see a wide area around the tree in front of them to determine if enemies are charging them. It is unclear to me how this made it into the final game, and it’s additionally kind of boggling why the gesture is called “Sitting Bull” unless it is intended as some kind of reference to the historical indigenous American leader. We’re aware that players have been able to use Gestures (often referred to by the community as “Emotes”) to peek around corners in modes where that can create an unfair advantage. We’re currently working on an update that creates two systems for Gestures – the default system that is in the game now, and a competitive version that disables free look and applies different camera settings to prevent using it to see around corners. 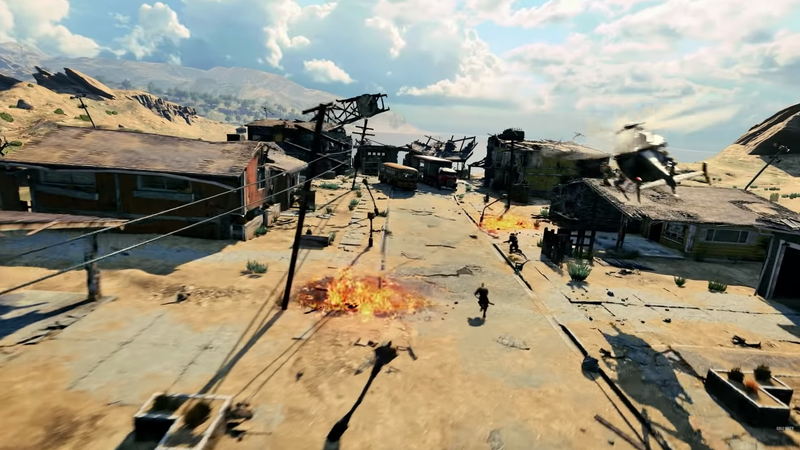 The default system will be used in parts of the game where corner peeking won’t affect gameplay balance (like the staging area of Blackout), and the competitive version will be used in modes where a more restrictive camera system is needed. We want players to always have fun with Gestures as intended, but never at the expense of fair gameplay! However, according to the post, this fix is “in the works” and has no announced release date. Until then, players are going to keep getting peeked at from rooftops and from behind trees with emotes.